On December 3, 2018, this year's All-Church meeting of the coordinators of the "Vibrant Parish - a place to encounter the Living Christ" started in Lviv, at the Patriarchal House. The event involves eparchial coordinators who are responsible for implementing the strategy of the UGCC. The meeting will last until December 7. On the whole, on the first day, four sessions were held during which the monitoring of the implementation of the program over the past year was presented, especially with regard to the main theme of 2018 - "Liturgy and Prayer", as well as issues related to the preparation for the VII session of the Patriarchal Council in 2020. In addition, time has been allocated to meet new coordinators and help them get into the program and understand their role in it. "Today, we drew attention to what was done earlier, that is, we drew up certain results of our activities. We shared good practices and interesting experiences," said Fr. Dr. Andriy Onuferko, Executive Secretary of the Working Group on the implementation of the UGCC Development Strategy for the period up to 2020. 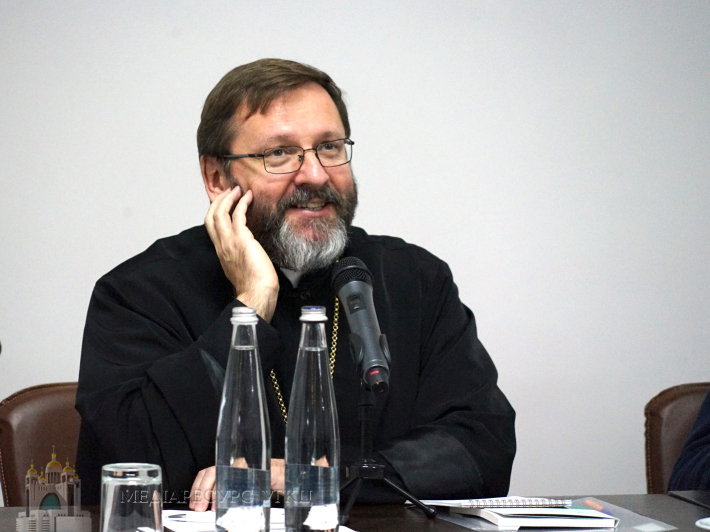 According to him, if during this year the UGCC pays special attention to the theme "God's Word and Catechization", this does not mean that we forget about other important aspects of the life of the Church, such as Liturgy and prayer or service to the neighbor. It is worth noting that His Beatitude Sviatoslav, the Father and the Head of the UGCC, in his speech called upon those present to meditate and discuss the topic "2020, and what's next?" He wanted to hear the opinion of the coordinators regarding the formation of a new strategy of our Church for a long time. "I wish that together we could see not only the past but also look into the future. We are approaching 2019, which reminds me of the events of 2009. Then, for the first time, our Church began to think strategically, because we are aware that we serve in different countries, contexts. 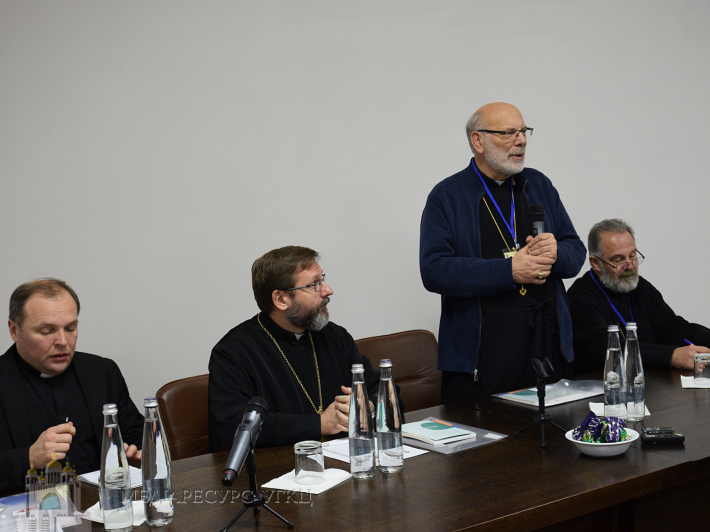 Obviously, our opportunities and resources are not too great, so we really need a joint, coordinated pastoral plan at the level of our whole Church," said the Head of the UGCC. The Head of the UGCC asked not to forget that the laity constituted 99% of our Church. Many of them are already active in various parts of the Church's ministry. Therefore, they should be attracted as much as possible, that is, to constantly find various mechanisms in order to "revive" the Church everywhere and at all levels.